Bricks, by default, are private. Do you want to share it with the world? Learn how! Global Brick: Global bricks are not only accessible to you but to any other landbot user that accesses the section Explore. 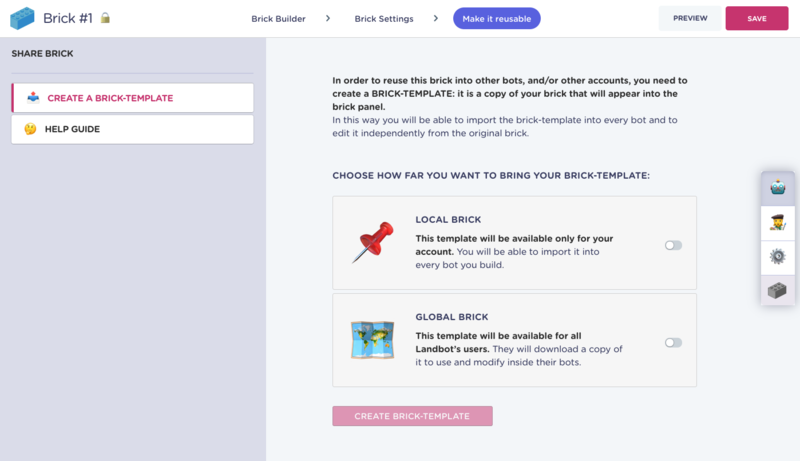 You can download any public brick, customize it and save it as a new, private brick! Whenever you're done with the sharing settings, click Create Brick-Template to save the configuration.